Salesian community life never has its dull moments. There is always something or the other happening and most often viewed individually these instances are nothing but chaos and confusion. Yet they complement one another - just as confreres do! 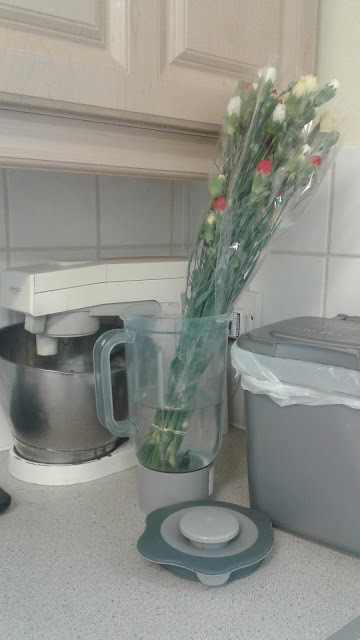 Last night someone left a bouquet on the kitchen table. This morning someone else had the good sense of putting them in water. Only that the closest available container, beside the tap, was a grinder! !